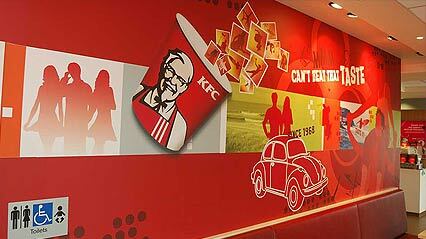 The right colours set the hungry tone of a leading fast food franchise. Colour Synergy's trade secret we-get-it-right technology ensures that colours are consistent from store to store. All the more reason to entrust your work to Colour Synergy. Large format output can give you results that no regular paint job can, all the more important in an ultra-competitive retail environment. Here we have an example of HiRes colour printing directly to substrate. In this case perforated aluminium ventilation sheeting. HiRes (Oce Arizona) UV Flatbed colour finished with two pack gloss clear with stunning results. 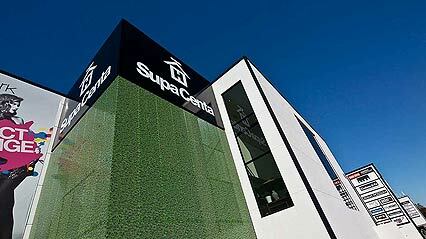 Moore Park Supa Centa NSW.